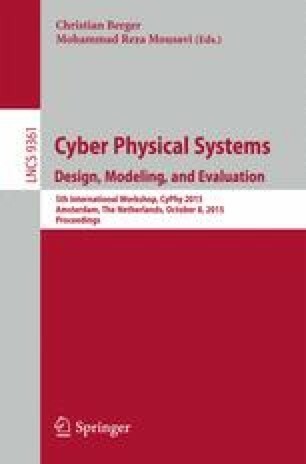 Battery powered systems are a major area of cyber physical system innovation. This paper develops a kinetic battery model with bounded capacity in the context of piecewise constant yet random charging and discharging. The resulting model enables a faithful time-dependent evaluation of the risk of a mission failure due to battery depletion. This is exemplified in a power dependability study of a nano satellite mission currently in orbit. The authors are grateful for inspiring discussions with Peter Bak and Morten Bisgaard (GomSpace ApS), Erik R. Wognsen (Aalborg University), and other members of the SENSATION consortium, as well as with Pascal Gilles (ESA Centre for Earth Observation), Xavier Bossoreille (Deutsches Zentrum für Luft- und Raumfahrt) and Marc Bouissou (Électricité de France S.A., École Centrale Paris - LGI). This work is supported by the EU 7th Framework Programme under grant agreements 295261 (MEALS) and 318490 (SENSATION), by the DFG as part of SFB/TR 14 AVACS, by the Czech Science Foundation under grant agreement P202/12/G061, by the CAS/SAFEA International Partnership Program for Creative Research Teams, and by the CDZ project CAP (GZ 1023).